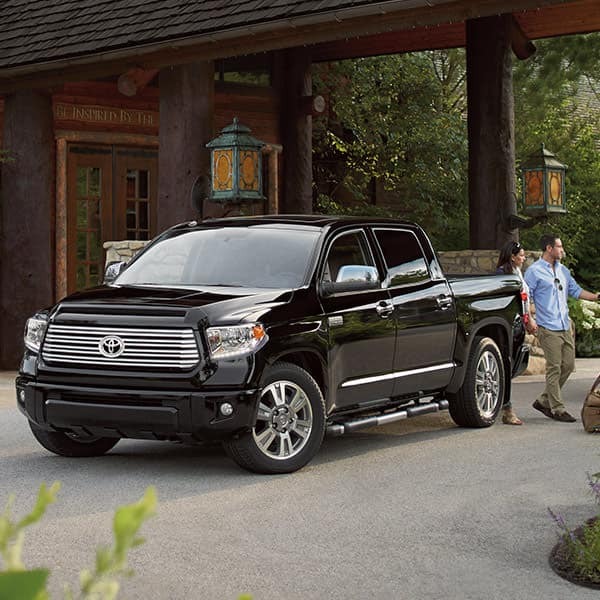 When the going gets tough, the tough get Tundra—that’s the bottom line. That’s why our team here at Andy Mohr Toyota wrote this 2018 Toyota Tundra review for our friends in Indiana communities, like Avon, Indianapolis, Plainfield, and the surrounding areas. If you have any further questions, please reach out now. Until then, we encourage you to keep reading to learn more about everything that this capable truck offers. Or, if you’d like to experience it for yourself, you can schedule a test drive at our dealership. >Regardless of whether you choose the i-FORCE 5.7L V8 Engine or the i-FORCE 4.6L V8 engine, you’ll have plenty of power at your disposal. Here’s a closer glance at the Tundra’s horsepower and torque ratings. 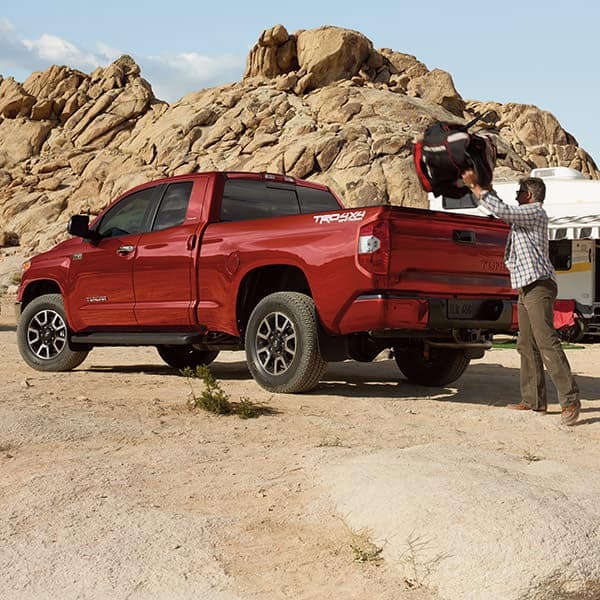 In addition to these workhorses, you’ll find a variety of other impressive performance features on the 2018 Toyota Tundra. We’re talking about capable four-piston brake calipers, a humungous 10.5-inch ring gear, an assertive 4.3 rear-axle ratio, an Automatic Limited-Slip Differential, and even an Active Traction Control System. In other words, you can take this hulking beast wherever you need to go. However, you know as well as we do that all those numbers and figures don’t mean a thing if the truck can’t get the job done. And trust us—the 2018 Toyota Tundra can get the job done. It was constructed with towing and hauling in mind, with the muscles to tow over 10,000 lbs (when properly equipped). It’s even outfitted with a 4-/7-pin connector, which allows you to hook it up to a bunch of compatible trailers. Last, but certainly not least, with Toyota’s state-of-the-art Integrated Trailer Brake Controller with Trailer-Sway Control, this pickup can automatically sense trailer sway and combat it accordingly. Back in the day, most truck drivers didn’t care two licks about how their vehicle looked. But it’s the 21st century, and times have changed. That’s why this Toyota Tundra comes in at least ten hot body colors. From Blazing Blue and Cavalry Blue to Midnight Black and Smoked Mesquite; from Magnetic Gray and Cement to Silver Sky and Super White; from Barcelona Red to Inferno to Quicksand and beyond. Ok? We think you get the picture. Reach out to one of our Toyota representatives today to learn more about the Tundra’s exterior looks, including its new, exclusive Toyota Racing Development Styling. Incredible! Schedule a test drive today at Andy Mohr Toyota—contact us ASAP! Regardless of whether you live in Plainfield, Indianapolis, Avon, or anywhere else near Indiana, we’re here to serve you. Just call us on the phone, get in touch with us online, or stop by our showroom. The hardworking drivers who come to us know one thing for certain—there’s nothing like digging in and getting your hands dirty. And, there’s nothing like test driving the 2018 Toyota Tundra for yourself.